There is an additional charge of £1.50 to engrave this side. An attractive, shiny silver coloured notepad and pen set. Very useful left by the phone or bedside cabinet - It's also just the right size to be carried around in a pocket or handbag. It's almost impossible to lose the pen as the pen slides into the side of the notepad to keep it shut. Pull the pen out and the notepad flips open ready for use. 9cm high, 6.5cm wide, 8mm deep. Posted using First Class post for a sopeedy delivery. Engraving Information. Please read for best resuklts. 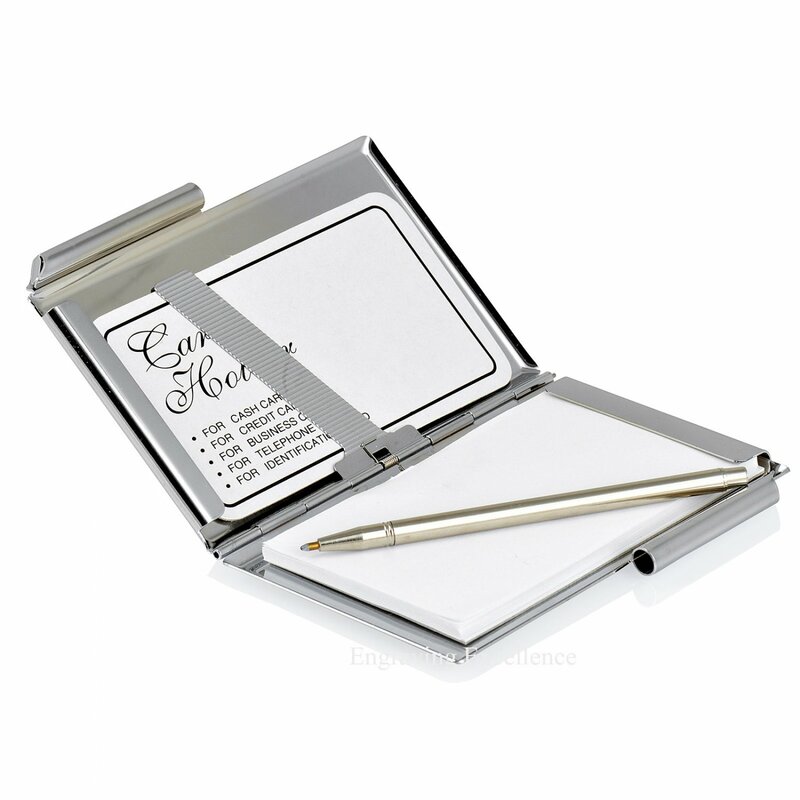 On this notepad and pen set we would suggest up to 6 lines of 28 characters each (including spaces). 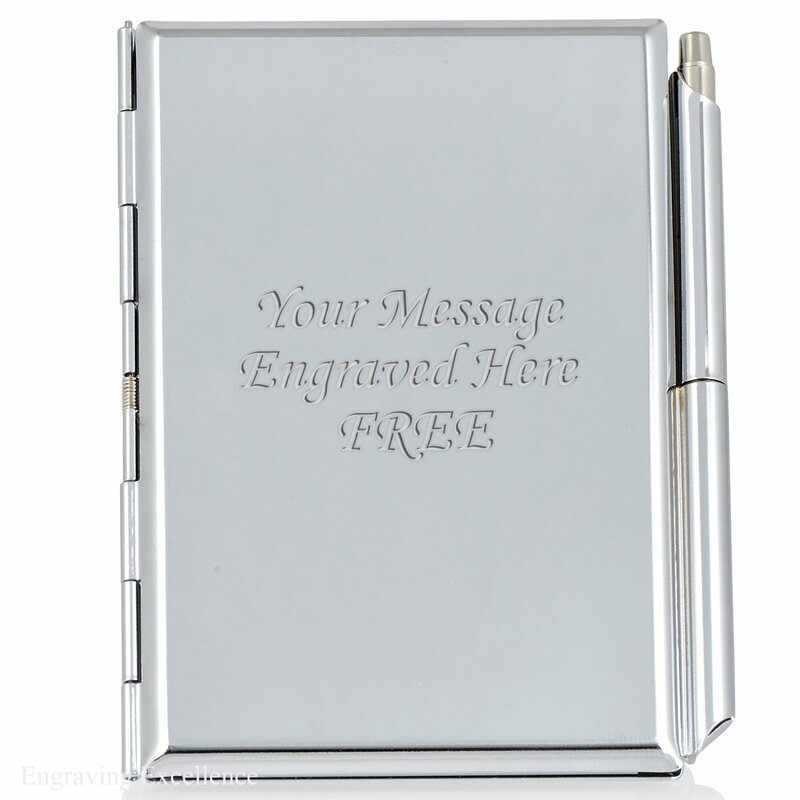 We can engrave more, but the text would start to become rather small.